The sleeve is supposed to be worked until 16″ before casting on the body, which is two pattern repeats. Unfortunately, my row gauge is off and after 2 repeats, it’s more like 14″. So if I added another full repeat (the sleeve is supposed to end at the end of the chart) it would be far too long. I think I’ve decided now that I’ll just keep going forward, and add extra ribbing at the cuff or something – although thinking about it, if I did the sleeve longer and just added less ribbing, it might work. Hm. I think I’m too lazy to rip back. It’ll work out. I’m not even halfway done. But it moves pretty fast when I work on it, so I’m just going to make a point of working on it more. I’m also making good progress on the boy’s socks – just about at the heel of the first. Oh, oh, oh – the Interweave Fall preview is up (wtf, summer isn’t even here yet): here. 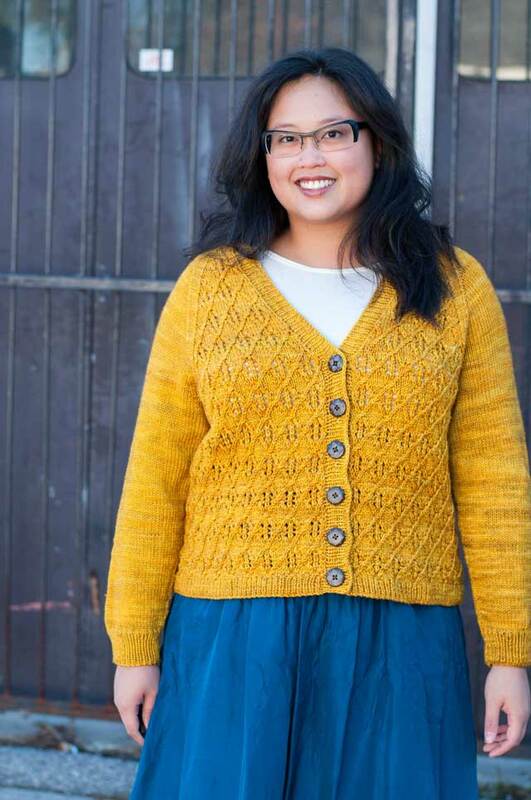 I like the Cable Cascade pullover, the cable and rib socks, the drop stitch cardigan, and the Union Square market sweater. Looks like a good issue – but great, just what I need, new projects to think about! Thanks for the heads up on Interweave, but I’m with you. I want to get through my summer projects before worrying about winter again… hey, it just finally stopped raining here! Plus, it’s too hot to hold all that wool for the cool felted travel bag in your lap during the summer. Cozy looks wonderful. I had told myself I was done with wraps/shawls/stoles for a while, since I already have 2 recently completed and 2 on the needles, but I am thinking that some handspun in a natural color would be oh so cozy as Cozy.